As a volunteer at QOH, you will be part of a professional team that loves to have fun! Therapeutic riding, performed in a professional and safety-conscious manner, brings feelings of boundless joy and accomplishment for all involved. There are many opportunities available for individuals who want to volunteer. If you want to volunteer in any capacity, even if it does not fit in any of these categories, please let us know. Our programs are fueled by volunteer energy – and we are very proud of what we accomplish. It is our hope and desire that you will be happy here as you join our team in making our program a reality for disabled riders. Your commitment is vital in our quest for excellence and demonstrates how the riding spirit comes from the heart. Volunteers are the key to the success for all our programs and Queen of Hearts will provide the necessary training, continuing education and guidance to make your volunteer experience safe and enjoyable. Most volunteers serve as either horse handlers or sidewalkers. However, there are many other areas in which you can assist that do not involve working in the arena. Some include grooming, tacking horses or helping at special events and fundraisers. Volunteers who work with clients must be at least 14 years old, physically able to walk and occasionally jog for short distances. For a seamless transition into our volunteer program and for the safety of everyone, all lesson volunteers, no matter what their experience, must complete our on-line training and then our hands-on training. Once you complete your hands-on training you will be scheduled to shadow an experienced volunteer and assist with lessons and receive continued guidance towards client-specific needs. Queen of Hearts offers volunteer enrichment programs and continuing education opportunities throughout the year to help broaden your horsemanship skills, knowledge, and learn more about working with individuals with special needs. For a seamless transition into our volunteer program and for the safety of everyone, all lesson volunteers, no matter what their experience, must complete our on-line training and then our hands-on training. Once you complete your hands-on training you will be scheduled to shadow an experienced volunteer and assist with lessons and receive continued guidance towards client-specific needs. STEP 2 – Go to https://queen-of-hearts-learning-center.thinkific.com/courses/orientation to participate in our on-line training. 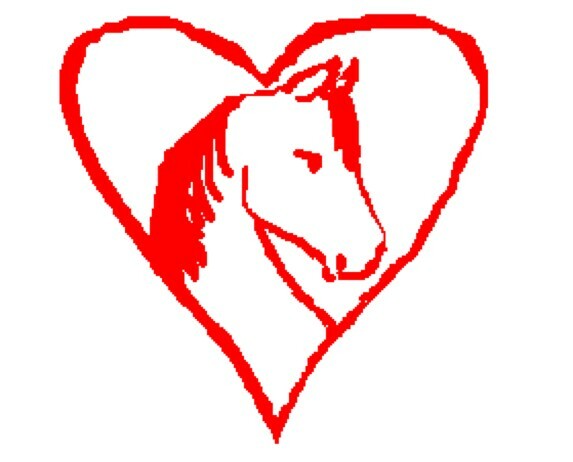 STEP 3 – After you complete your on-line training, call Queen of Hearts Therapeutic Riding Center, Inc. at 951-734-6300 and sign up for the next “Hands-On” training day. STEP 4 – Upon successful completion of your training, you become an official Queen of Hearts Volunteer! Changes to this schedule do occur and will be communicated to you by phone and/or email. We offer demonstrations and training events to many special needs and ability organizations in Southern California. Event planners could help keep all of the plates spinning. These demos and events can be anywhere from expo booths in Los Angeles or San Diego, to expo booths in our own town. We offer demonstrations and training which will need catering and sponsorship coordination. One of our goals at Queen of Hearts Therapeutic Riding Center, Inc. is for our participants to enjoy services in a clean, safe, stress-free environment. This inviting environment is only available because of the behind-the-scene efforts of our volunteers. Many of our maintenance projects range from daily, seasonal, and, specific projects. Please call today at (951) 734-6300 to schedule an appointment and let us know how you want to help our maintenance team keep our programs alive! Or use our CONTACT US page to reach us! It costs more than $300 an hour to fully fund a therapeutic horseback riding lesson. Therefore, to keep our costs as low as possible for our clients, we rely strongly on our fundraising efforts. These efforts include: fundraising events, community promotions and presentations, open house events, marketing, public relations, and writing grant requests. – freelance reporters and authors. (t-shirts horseshoes, calendars, coffee mugs). We find it best to understand how equine-assisted therapies and activities help our clients. Therefore we ask all of our volunteers to attend a two-hour orientation. Please call today at (951) 734-6300 to schedule an appointment and let us know how you want to join this extraordinary fundraising team! Or use our CONTACT US form!